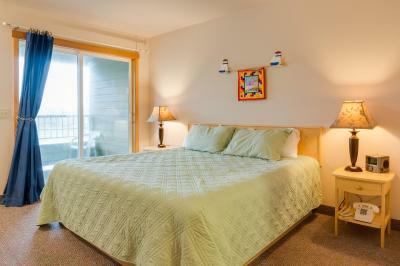 Lock in a great price for Sea Breeze Court – rated 9.7 by recent guests! Great room at a good price with an amazing location! The king bed and mini fridge. The staff was friendly and had popcorn with DVD’s to barrow. Our room was perfect (cozy, very functional kitchenette, has fireplace, patio, clean, large, comfy bed, great bathroom - just ideal!). The receptionist was very friendly and helpful - even offering us DVDs and popcorn!! 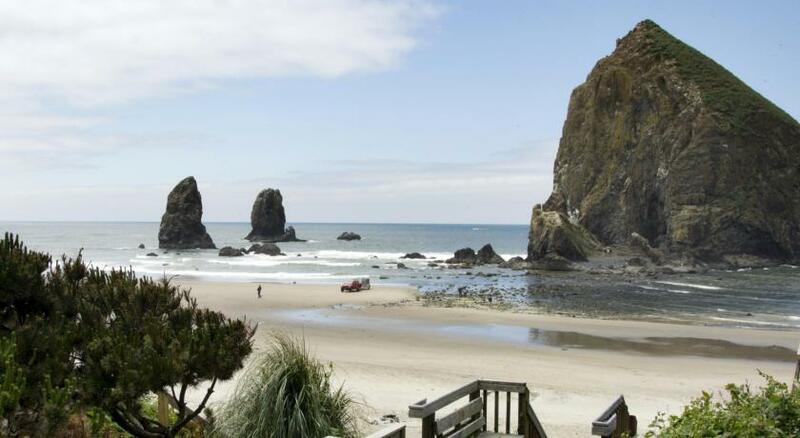 Across the small street of this adorable town is Haystack Rock off of a wide, sandy beach. Very happy staying here. 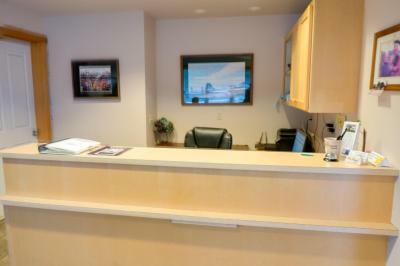 I was impressed with the friendly, engaging, professionalism of the staff. 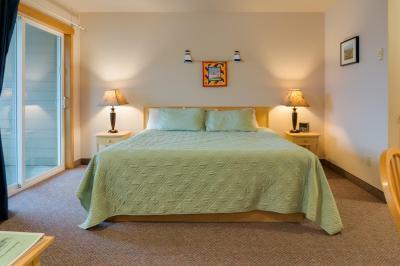 The room was bigger than I expected, clean, and the beds were extremely comfortable! The value for the money was exceptional! It was maybe a block from the beach and very close to bars and restaurants. I enjoyed the 12:00 check out time also. My only regret is not being able to stay longer. I immediately looked for another Saturday to stay this year and they are all booked already! This should definitely tell you something. Extremely friendly and helpful staff. 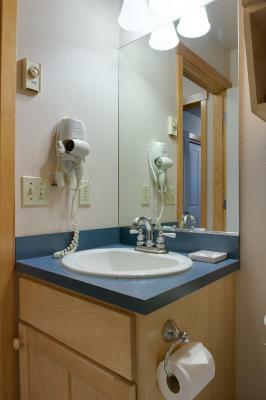 Room and facilities just as described. Great location and 1 short block to the beach. 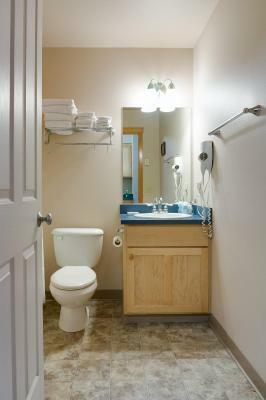 Big bathroom, plenty of towels, kitchen in good shape. Quiet and clean. Sofa and bed very comfortable. Had a kitchenette, so easy to keep leftovers from restaurants. Also, enjoyed the gas fireplace. I loved that it’s so close to Haystack! 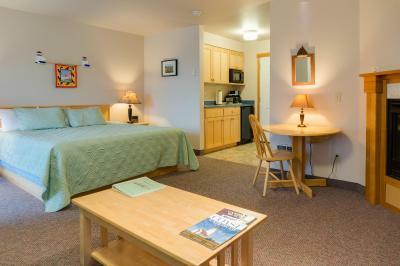 Typically one needs to walk for miles to get there from the other lodgings closer to downtown. This one is a quick walk to cross to street to the beach and then a few paces and you’re there! I was shocked at how large the room was! We booked because the cost was in line with what we wanted to pay, and was pleasantly surprised by the fireplace in our room and being close to shops and the beach! Sea Breeze Court This rating is a reflection of how the property compares to the industry standard when it comes to price, facilities and services available. It's based on a self-evaluation by the property. Use this rating to help choose your stay! 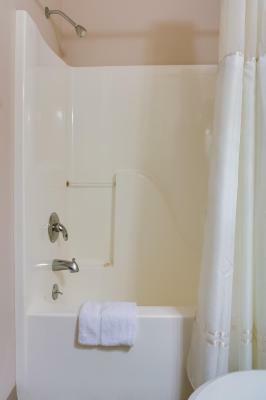 Located one block from the Pacific Ocean beach, this 100% nonsmoking hotel provides each studio and suite with a microwave, a refrigerator and free WiFi. 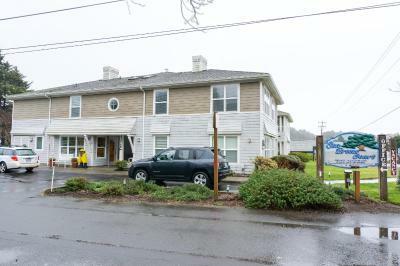 The hotel is 1,650 feet from Highway 101. 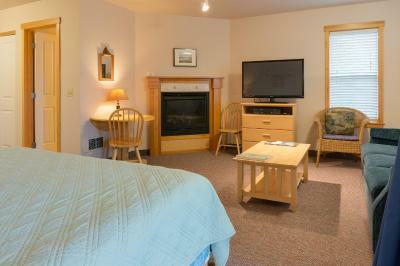 Spacious studios and suites are equipped with a fireplace, flat screen TV, and DVD player. 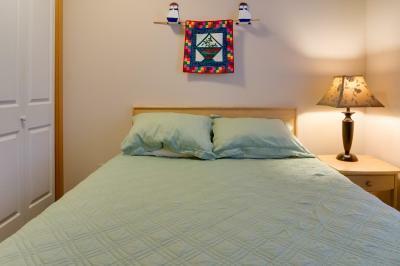 Rooms are decorated to highlight the local area and culture, such as wood accents and some of the artwork. 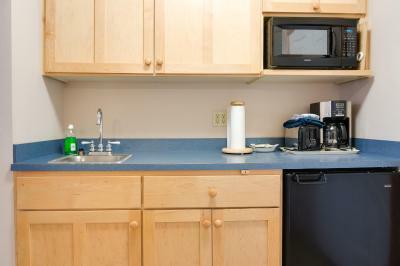 Suites offer full kitchens while studios have kitchenettes with microwaves, coffee makers, and mini-refrigerators. 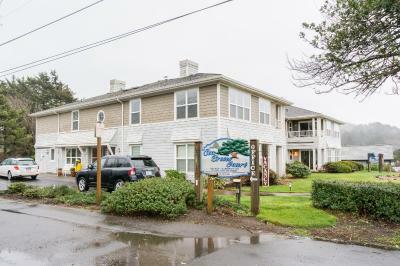 Sea Breeze Court hotel is 2,100 feet from Cannon Beach's city center. Haystack Rock is 1,000 feet from this family owned hotel. 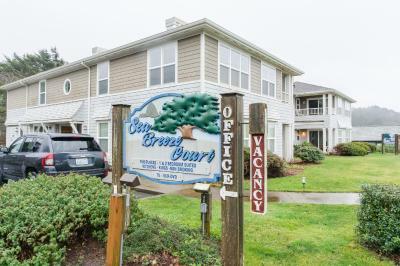 When would you like to stay at Sea Breeze Court? 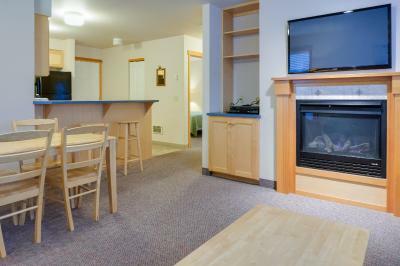 Studio includes a cable TV, a microwave and a fridge. 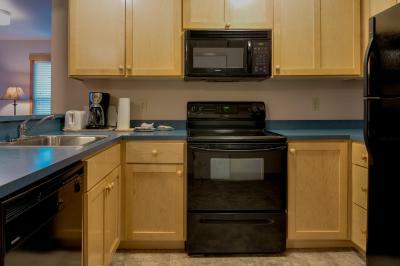 Features a full kitchen with stove and dining area. 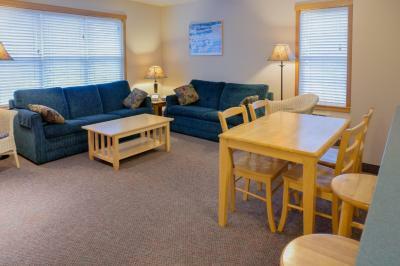 Spacious suite offers 2 bedrooms, 1 bathroom, full kitchen, and dining area. House Rules Sea Breeze Court takes special requests – add in the next step! Sea Breeze Court accepts these cards and reserves the right to temporarily hold an amount prior to arrival. Please inform Sea Breeze Court of your expected arrival time in advance. You can use the Special Requests box when booking, or contact the property directly using the contact details in your confirmation. No hot water kettle, the soap bar left my skin sticky and the shampoo was a conditioner combo. So clean and every detail is taken care of! Nothing, just that I wasn’t able to stay longer. Heating system did not seem to respond to thermostat- either on and blowing hot air or off. Did not seem to cycle. Not a big problem as we could open windows and get good ventilation to cool down. The bed was so comfortable and the room was so cute! The location was great- a 3-4 min walk to Haystack Rock. I would definitely stay here again. 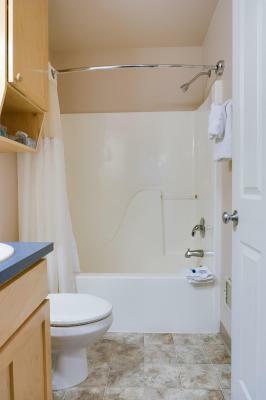 Some minor repairs are needed, such as caulking in the bathroom, cleaning some marks off walls, touch up paint in a few spots. 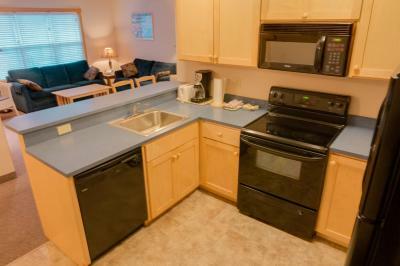 I booked a suite with a kitchenette when I thought I'd booked one with a full kitchen. The owner graciously upgraded us to a two bedroom suite with a full kitchen - at a reduced rate without any prompting from me. The suite was perfect for our family and we totally enjoyed our stay. We'll be back. Nothing! I loved everything about this property! I really wish there was at least a hot tub on property to use. I don’t think it could’ve been better, honestly. I love the bed! Also, the location was wonderful. 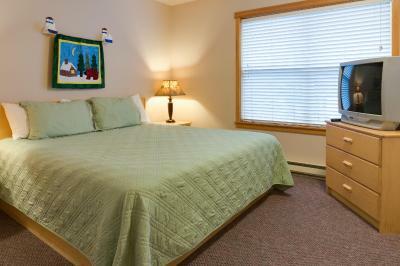 The room size was perfect and felt very comfortable. Convenience. Location to beach and restaurants. Quiet. 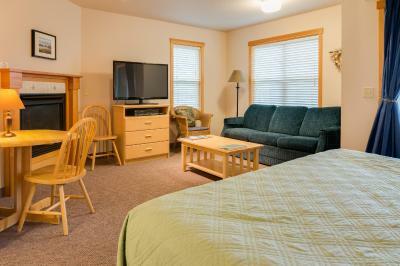 Comfort and amenities, like the kitchenette, large screen tv and DVD player with a huge selection free to borrow. Parking. Park across the parking lot for the dog.